If any of you makeup enthusiasts are on Instagram I am sure you have stumbled upon @HouseofLashes page. House of Lashes offers a variety of styles from natural to glam. 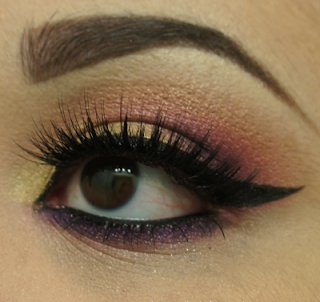 Their Noir Fairy lashes are quite popular on Instagram and I immediately fell in love with their luxe appearance. I decided to order a couple of pairs to try out if these lashes were really worth all of the buzz. 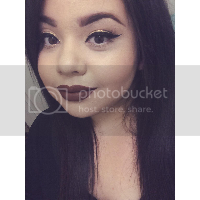 » Overall Rating - .The Noir Fairy lashes definitely give your lashes that luxe look. I was a bit skeptical at first due to the fact that right after applying them they felt quite heavy. I did not think I was going to be able to wear these lashes. After a few minutes passed that heavy feeling went away and they settled in quite comfortably. I usually opt for thin/invisible band lashes but I got through the entire day without any discomfort. Do they live up to the hype? In my opinion, yes. This multi layered lash gives your look a unique and whimsical touch. » Overall Rating - .The Hollywood Glam lashes are part of their "Au Natural" collection. When looking at the product photos and on the models the lashes looked quite full yet still natural. When I opened these up I could not tell a different between these and any other drugstore brand I already owned. It had a nice thin band but there was really nothing else mind blowing about these lashes. They did fill in my lashes a bit. For the price I will stick with my drugstore brand lashes that will give me the same effect for a fraction of the cost. 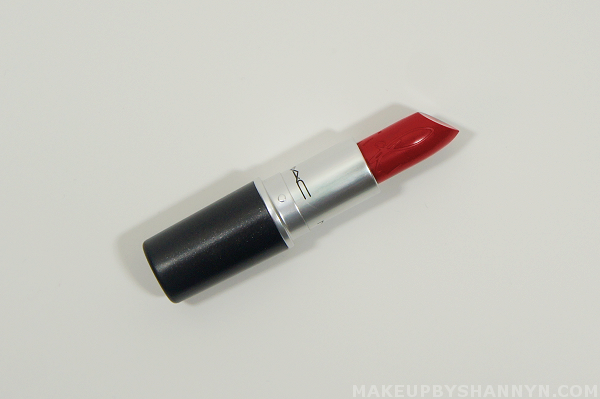 » Overall Rating - A tad bit deeper than MAC's Ruby Woo. It has a retro matte finish and did not leave my lips feeling dry. Lasted a good 7 hours before signs of fading began to show. This lipstick will be launching again in June with the RiRi Hearts MAC Collection. The collection will be released in multiple installments throughout the year. Hey everyone! 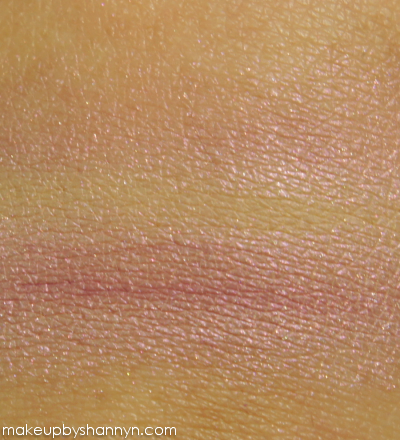 Today I wanted to share with you some swatches and reviews on a few loose eyeshadows from Glamour Doll Eyes. 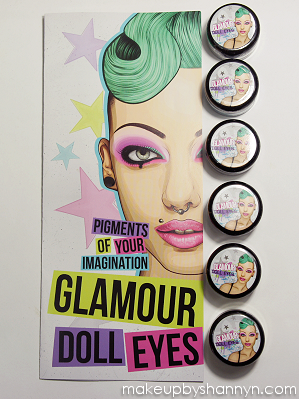 I am a part of the Glamour Doll Eyes Sponsorship so all of these products were sent to me by the company. I did a YouTube series using all Glamour Doll Eyes shadows so if you want to see all of these colors in action please check out my YouTube page! 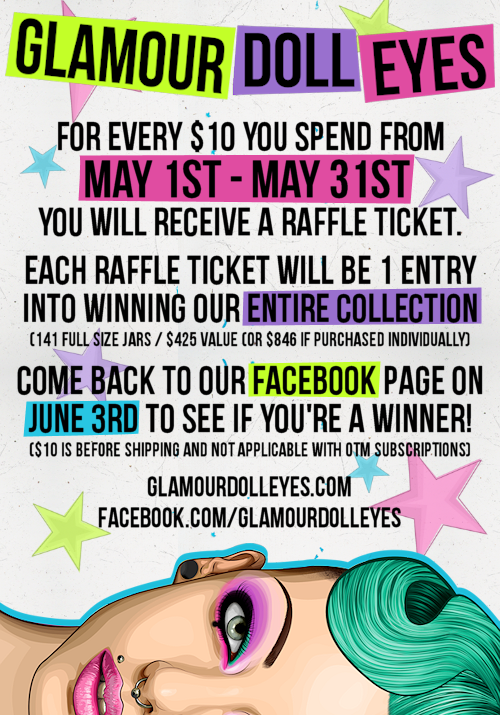 Today Glamour Doll Eyes is starting an amazing promotion! If you haven't checked out their products yet now is the time to do it! Read down below for more details! 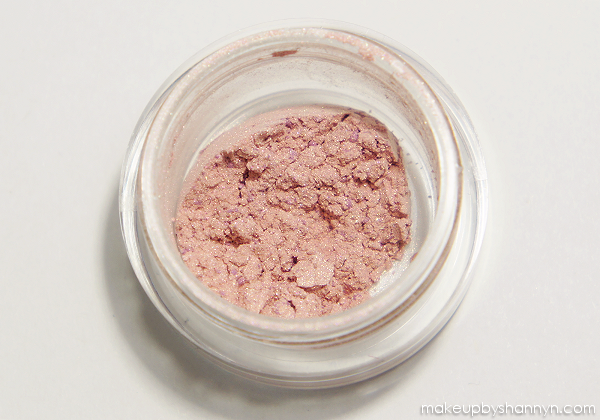 » Review - It is a soft and delicate pink. 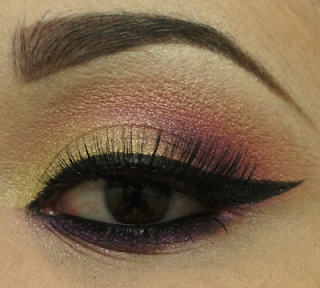 It took some layering to get it to show up when I was trying to wear it on my lids. Also applied a tad bit streaky on top of the primer. I loved using this as a blending color along my crease. 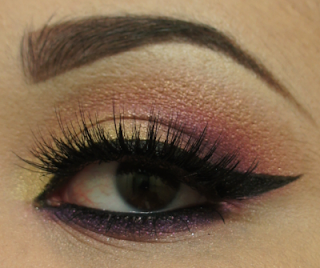 It allowed a soft buffed out look to my crease colors. 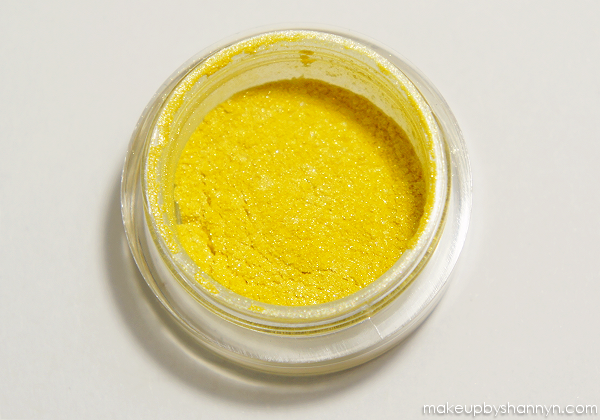 » Review - A bright yellow with a slight bit of shimmer. 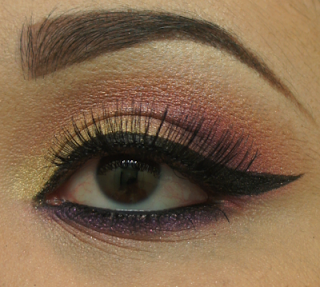 This color was easy to work with and did not require a lot of layering. Great lasting power. Perfect option if you want a yellow with some sheen. 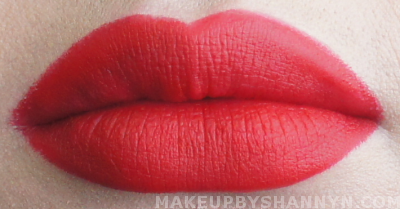 » Review - This color is amazing! 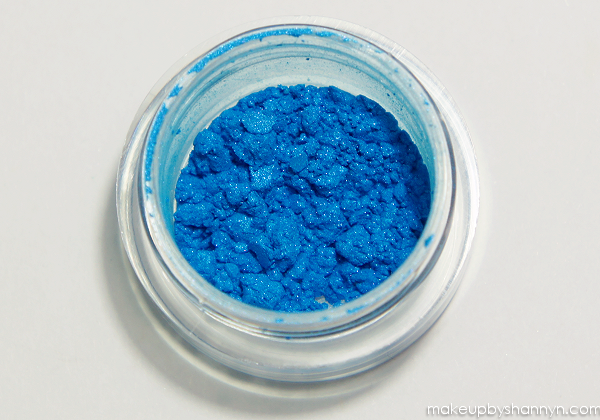 Vibrant blue with a very small amount of shimmer. Very easy to work with and did not need to layer this color at all. 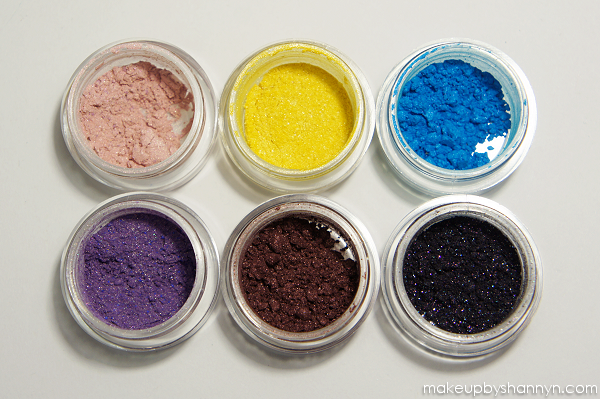 Highly pigmented. I love this blue!! 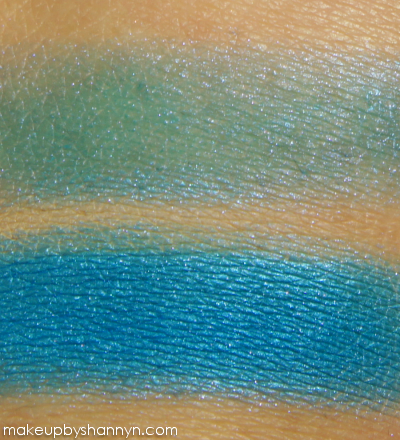 Perfect for adding a pop of color on your lower lash line or wearing it on your lids. 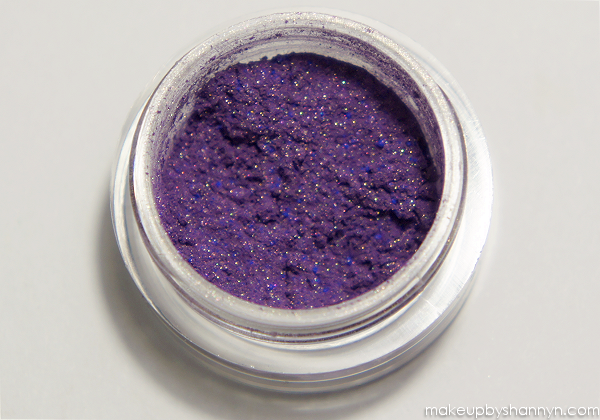 » Review - Isn't this color incredibly gorgeous? It is a purple-ish pink color with gold undertones. Very versatile, can be work on lid, crease, lower lash line, etc.. Easy to work with. This color is quite unique and I did not own anything like it in my collection. Definitely a must-have. 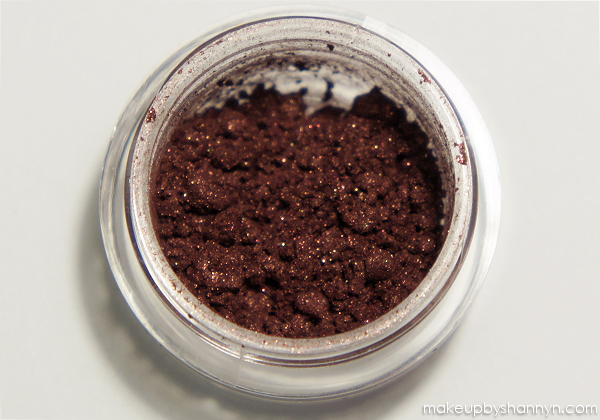 » Review - Deep coppery brown. 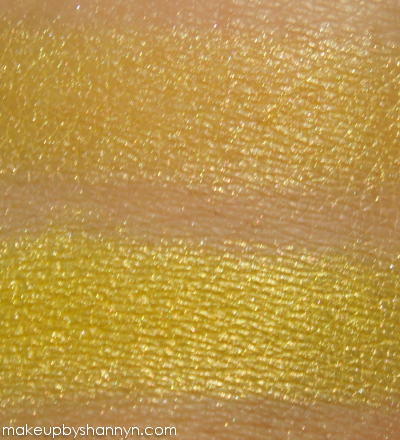 Great pigmentation and easy to blend. Perfect for everyday eye looks. 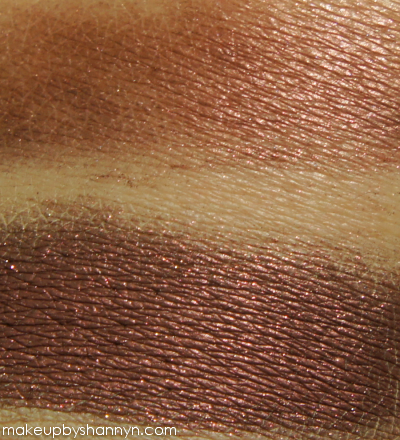 Although it has a bit of shimmer to it this color still worked perfectly along my crease and gave me a lot of depth. » Overall Rating - Ok, let's all just take a moment to take in the awesome-ness that is Super Nova. How cool is this color? 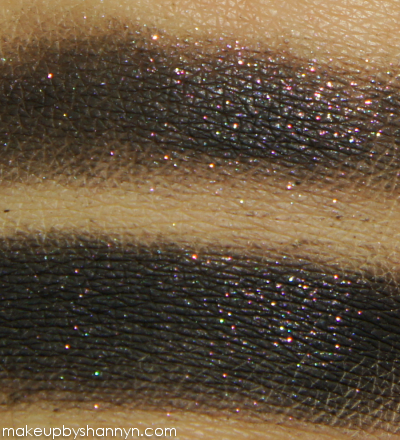 It is described as a matte black with multi-colored shimmer. This black is insane. 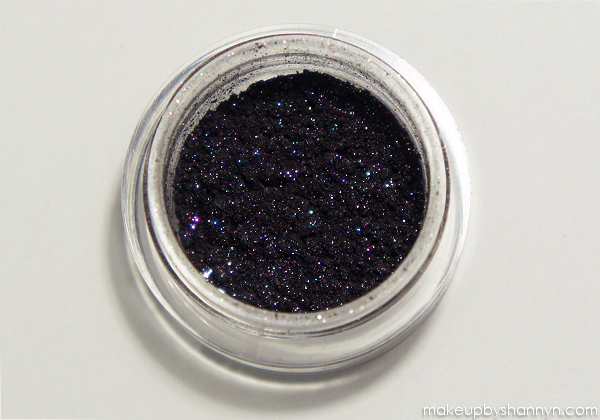 I also used this color as a liner and the shimmer still shined through. 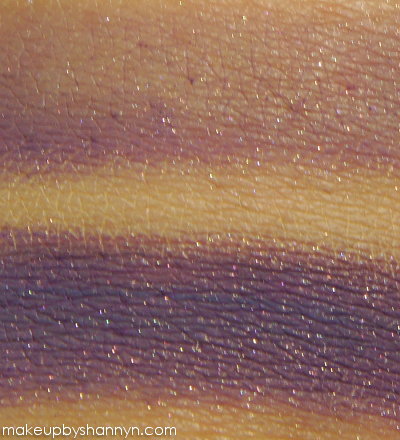 Beautiful color, amazing pigmentation and the multi-colored shimmer just adds that extra bit of love. Very unique color with solid staying power! FTC: The products mentioned in this post were provided by the company Glamour Doll Eyes. As part of the sponsorship I used these products in a series of YouTube tutorials. I was not asked to do a review. I am a part of their affiliate program which earn a percentage of the sale generated through the affiliate links. These are my honest opinions on these products.